Are you getting plans to relocate soon and you still don’t know where to keep some of your stuff? Are you specifically looking for self storage boxes Sydney or you need much bigger space like units? Then, we’ve got you covered! Macy’s Mobile Self Storage has lots to offer you when it comes to storing your items. Whether you prefer the short or long term depots and different sizes, then, we’re totally what you’re looking for! We also guaranty that our facility will suit your depot needs like its security, safety, affordability and accessibility. 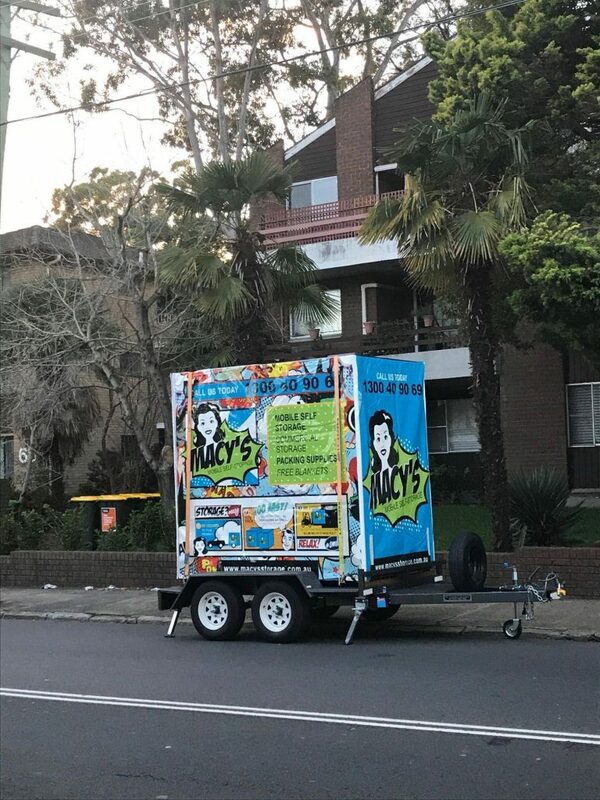 Macy’s Mobile Self Storage isn’t only capable of providing self storage boxes Sydney but many different types of the depot as well. You can deliver the items in our facilities or let us bring the self storage units on your place. So, you can fill it, then we’ll fetch it when you’re done. Isn’t that cool that you can actually have your own choice? Because aside from keeping your things secure and in the right place, we also provide convenience in so many ways just like giving you some options. And you can guaranty that it’s being kept in a clean, dry and secured place. There are innumerable advantages when you choose to rent or get self storage boxes Sydney. Let’s say that you’re running out of space at home or your office because of some old stuff. Yet, you still don’t want to completely dispose them of for some reason. So, instead of choosing to allocate one of your room just for all that unnecessary stuff, renting a depot unit is still the best solution for it. Not only you can keep your place and things organised, but you can also have another space for new items you want to be replaced. It’s also wise to have self storage boxes Sydney or lease depot units when you’re having a hard time maximising the space you have. It can also prevent you from disturbing your parents just to let them keep your belongings while you’re busy with your move. Well, there are some hacks and tips that you might want to try to help you lessen the things you have in the present. However, why do you want to exert so much effort when you can just call us and let us do our part in securing your stuff? When you’re having a relocation, commercial, business or residential, you can make sure that we can provide you with any types of depot you need. From self storage boxes Sydney to the depots that are on our facility, we can absolutely provide it to you! Aside from keeping you away from injuries you might be getting during your move, we can also prevent your belongings from getting damaged. And we can also guaranty that you’ll always have access to it anytime you wanted to. Just let us know ahead of time so we can get it ready before you came to our facility. Macy’s Mobile Self Storage can also provide you with affordable self storage boxes Sydney. Or any depots that are included to our budget-friendly offers. And if you’re not yet sure when is the best time to get one, we want to let you know that whatever time and season of the year, we can definitely provide you with the depot units you’ll be needing. So, you don’t have to stress yourself in knowing when is that best timing to contact us. Just by visiting our website, you can find our blog section full of helpful articles that you might use soon. Macy’s Mobile Self Storage can give you secure, safe and affordable depot units that you’ll need. We can also give you some tips and hacks on how to find the right depot for you. So, what are you waiting for? Let us know what size do you need and how long or short you want to have it. And we’ll do our best to give you the best deals that we can offer you. This entry was posted in Storage and tagged box self storage, mobile self storage units, self storage, self storage box, self storage units, self storage units for rent.